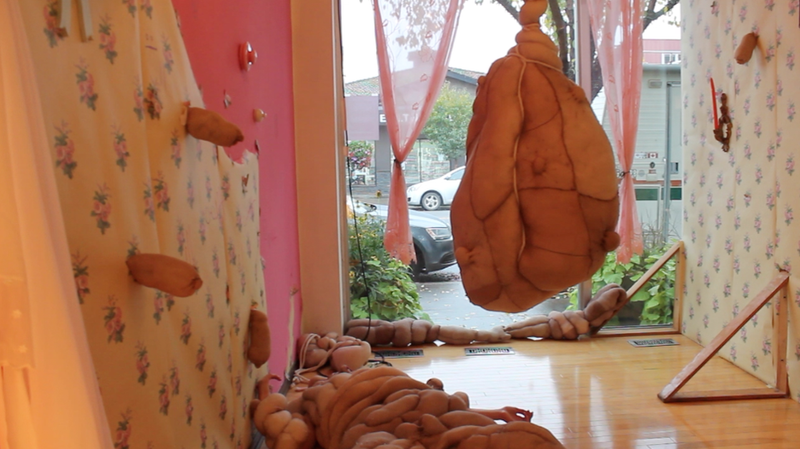 I was recently awarded an individual project grant from the Alberta Foundation for the Arts. This is a blog detailing the work We Are Revealed as it progresses. I would like to encourage you to leave comments, thoughts, ideas or start a conversation in regards to the work! 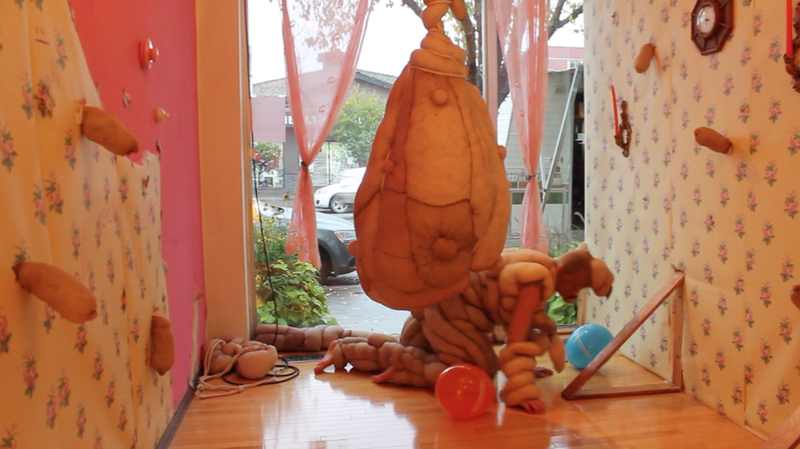 I was lucky enough to show the beginning stages of the work at MileZero Dance this fall. It was a really lovely opportunity to explore the work and experiment in an alternative gallery space. I performed weekly at MileZero Dance for the month of October. I was able to experience a really diverse crowd. At times, no one was there, other times the room was full. At times the crowd was very interactive, other times they would stand so far back I couldn't see them. I was able to do a few performances with my little one. It was really special to watch as they developed their own sort understanding of the work and responded accordingly to the crowds and how they felt in that moment. 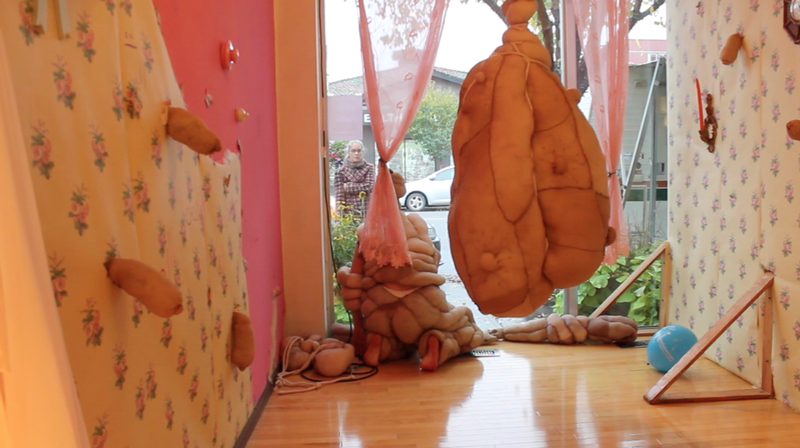 In the last three days of the show at MileZero Dance, someone drove right through the gallery front window. Unfortunately I had to toss both mine and my Childs costume. I have been set back a little bit, trying to recreate the costumes so that I may continue to perform. I have been in search of new venues to perform. 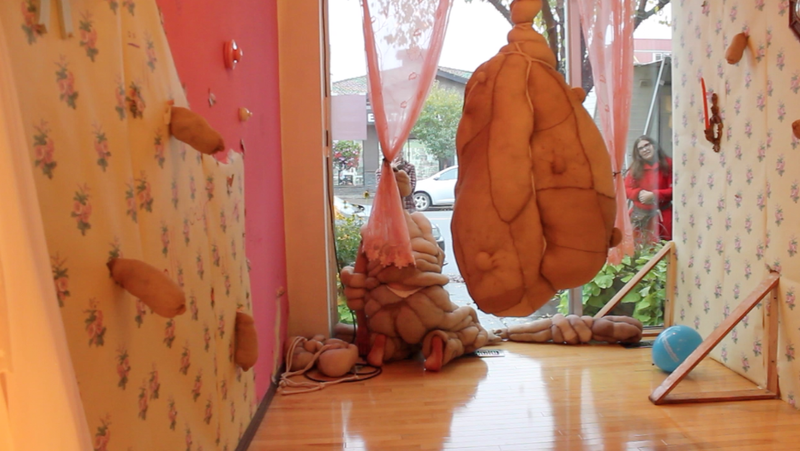 I'd like to continue performances throughout the entire process of making work. If you have any thoughts or spaces to offer, I'd love to hear them!! We Are Revealed deals with the anxieties and vulnerabilities that I experience when I've become the object of someone else's gaze. 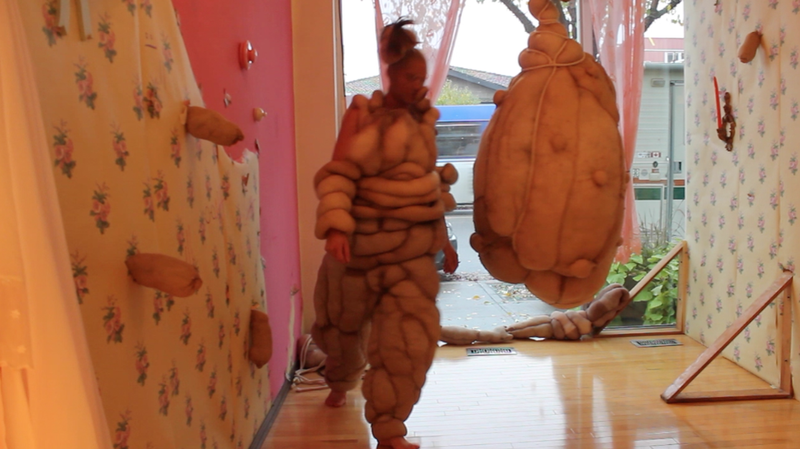 The costume that is worn for the duration of the performative installation, manipulates the emblematic nature of clothing and skin; poetically deeming its own connotations of what is attractive and repulsive. 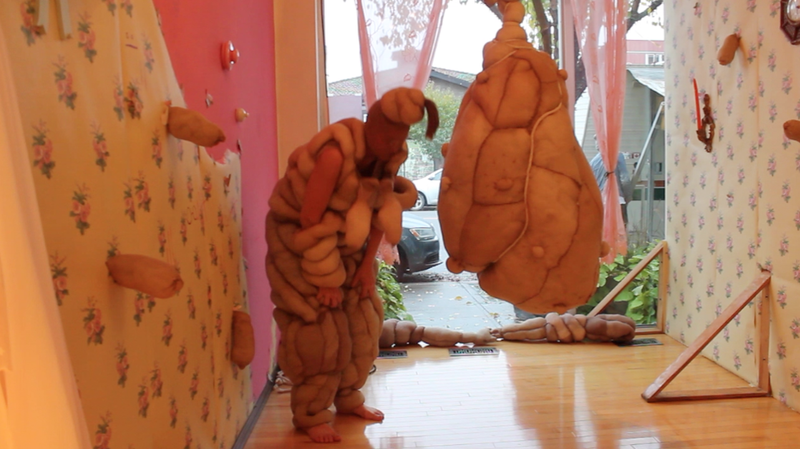 As the work continues to evolve and as I spend more time wearing the costumes, I have come to understand it as a manifestation of my anxieties in physical form. The work speaks directly to the paradoxical attractions and simultaneous tensions between what could be defined as beautiful or grotesque. The performative aspect of the work relies on the audience; using the spectators as a crutch, which in turn frees myself from any responsibility of my actions. Here are some images of the works in their beginning and experimental phases! The work will be travelling to Toronto in February as part of Justine Hartleib-Power's Thesis Exhibition Mind The Gap: The Interstices between Architecture and Experience at OCAD! !